There he worked on the school’s humor magazine, the Jack o Lantern, and was later kicked off for drinking in his dorm with friends. He then started submitting his works of writing under the pseudonym – Seuss. He isn’t really a Dr. He was awarded an honorary doctorate from Dartmouth began adding it to his pen name. 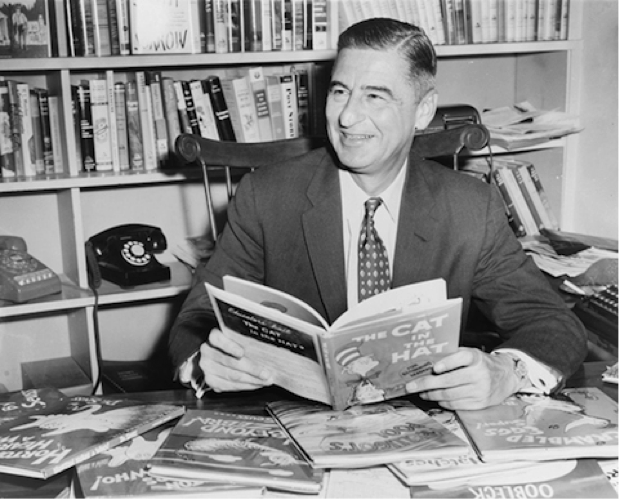 He wrote 45 children’s books during his career! He was rejected a lot! His first book, And to Think That I Saw It on Mulberry Street, was rejected 27 times before being published in 1937. He wrote Green Eggs and Ham on a dare. His publisher bet that he couldn’t write a book using only 50 different words.